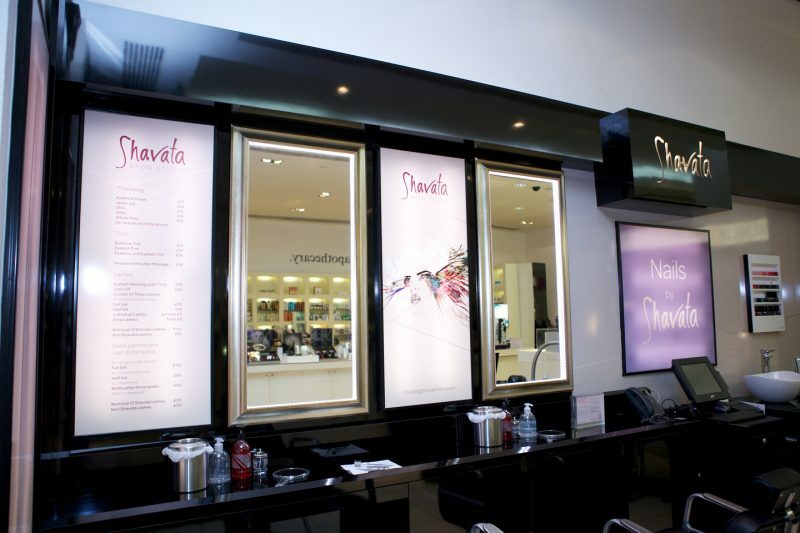 Get the key SS13 look with help from Shavata Brow Studio at Harvey Nichols Beyond Beauty department. 1. Always get your eyebrows professionally done, even if this is only once a year. This will give you an idea of what they should look like and with regular maintenance they will remain perfectly shaped. 3. No two eyebrows are ever identical; so don’t even attempt to get them the same as you will end up plucking to nothing. They say eyebrows are sisters not twins. 4. When shaping your eyebrows always pluck after a hot shower and in natural daylight. 5. When tweezing, always sit in front of a large mirror with a magnified mirror in your hand. This gives you an over-all view and the hand mirror helps with detail. Move from mirror to mirror. 6. Always tweeze both eyebrows together taking a few hairs of each at a time. It is a lot easier than trying to do one brow and then the other. 7. When shaping there are a few rules to follow; eyebrows should start before the eye (nose side) and not after. Try to keep the shape even – there is nothing worse than a tadpole sitting on top of your eyes! 8. Good quality tools are essential to achieve a professional finish. 9. Always use an aftercare product to help reduce redness and to calm the newly tweezed area. 10. If you decide to have your brows professionally shaped and don’t know where to go, always ask someone whose eyebrows you like. Also check that your therapist has great looking brows too! As well as the impressive list of treatments, the Shavata product range of tweezers, aftercare kits and brow accessories is also available. For appointments, please call 0121 616 6019.